This week marks the 25th anniversary of one of the most famous computer games ever published – Elite, by David Braben and Ian Bell. Released to the world on September 20th, 1984 for the 8 bit BBC Microcomputer. 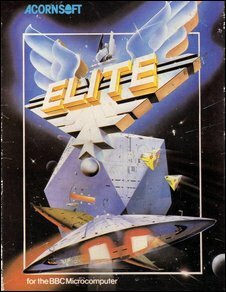 Initially rejected by the software publishers of the time, Elite was picked up by Acornsoft and managed to sell 1,000,000 copies on a whole range of platforms. Written by two guys, without the help of a studio, artists, or project managers, and entirely in assembler, for a machine which had less memory “than most emails”, it stands the test of time as one of the finest examples of how gameplay trumps visual beauty every time. I find it hard to add further comment to Guy Kawasaki’s presentation at Cisco Live. He sums up the difference between delivering a product to market, and delivering the product. 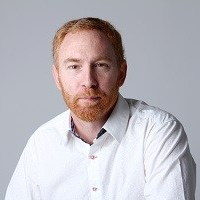 For those who don’t know of Guy, he’s an ex Apple fellow, and an author of books such as The Macintosh Way and How to Drive Your Competition Crazy. You can find his Blog online where he comments widely on Apple, social media, energy and all kinds of interesting things. He’s now involved in matchmaking entrepreneurs and angel investors, and public speaking. For Guy, innovation means deep, intelligent, complete and elegant (DICE). The take away I want to highlight is his message that you have anticipated what people need before they known they need it. Something that in my opinion is best served by gut feeling, industry experience and deep thought – not by asking an analyst what you should do. To be truly great, and to be truly innivotive, you need to take some chances and push the envelope..